MLS # 71510397 - SORRY - SOLD!!! Directions: Rt. 395, Exit 2, Rt. 16, Lower Gore, right on Laurelwood. WEBSTER LAKE'S MIDDLE POND!!! 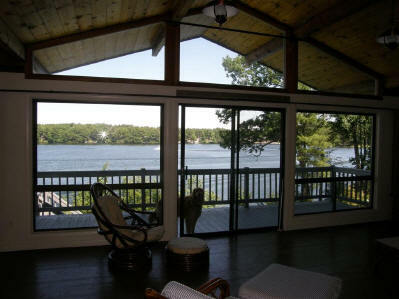 Lots of upgrades in this west facing waterfront home with 50 ft. frontage on Reid Smith Cove. NEW kitchen with granite counters, breakfast bar and stainless appliances. Open to dining room and cathedral ceiling living room with sliders to deck looking out over panoramic view of lake! 2-3 bedrooms, 1.5 baths. Finished lower level, NEW hydroair heating system, central air, outside shower, garage and paved driveway. 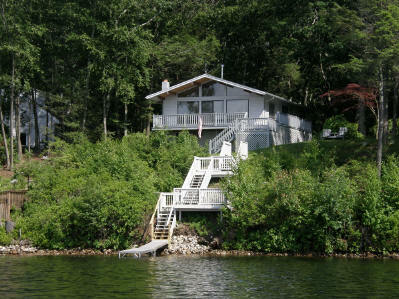 Perfect time to buy and spend summer on The Lake!!! Directions: Exit 2- 395 to Rte. 16-Gore Rd. to Lower Gore- Turn Right on Laurelwood Drive to End. WEBSTER LAKE!!! 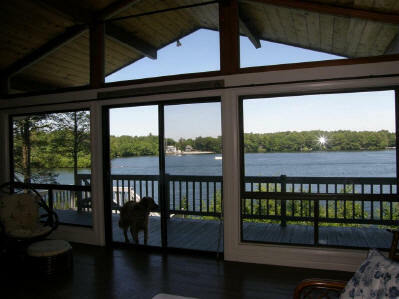 Middle Pond � Reid Smith Cove!!! Western Exposure � Beautiful Sunsets!!! 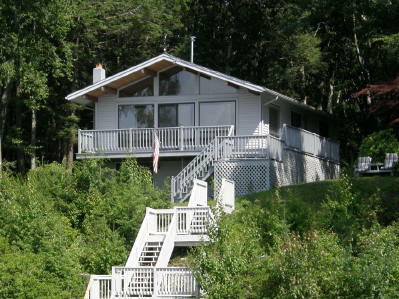 Ideal Summer Home yet Year Round!!! 7 Rooms! Living Room with Cathedral Ceiling, 3 Walls of Glass = Panoramic Lake Views!!! 3/4 Bedrooms! Master Half Bath! 1.5 Baths! Garage! 2010 Newly Paved Driveway! Disclosures: Water and Sewer Betterments for the House have been paid. Exclusions: House was split off from a Larger Parcel!!!! !